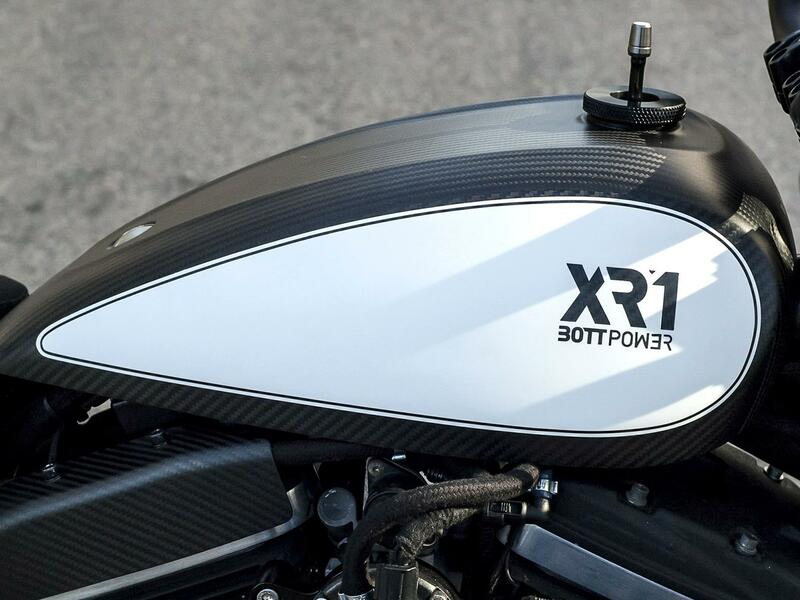 Spanish firm Bott Power have unveiled their latest Buell-based special – the ‘XR1 White Carbon’, and the kit is set to cost from £9,000. 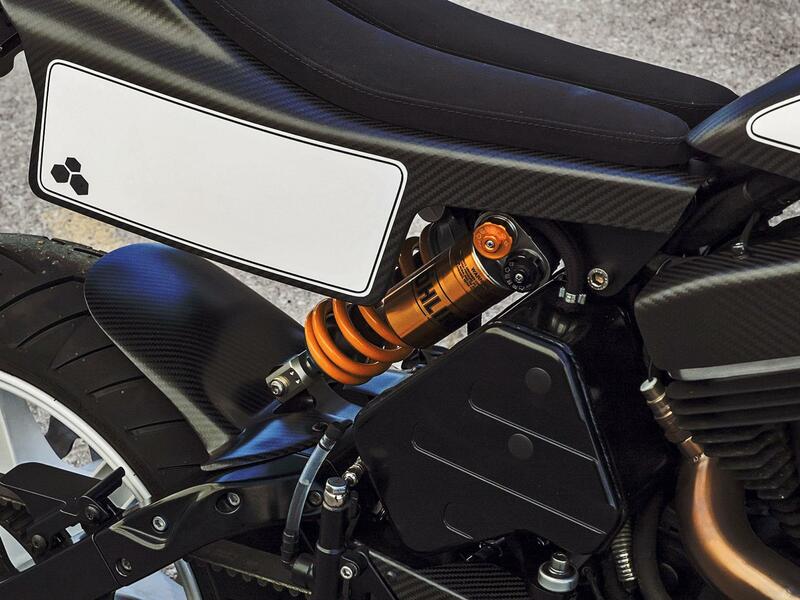 The XR1 kit uses the basics from the later, twin spar-framed Buells, such as the XB12S Lightning; namely the engine, swingarm and a few other bits of running gear although the big, fuel-carrying frame is binned. A new, steel tube spine frame is used with the engine as a stressed member, which partly explains how Bott have shed 20kg of mass. And despite what its flat-track styling may suggest, it’s not completely impractical, either. There are actually three fuel tanks, which not only help spread the weight but also keep fuel capacity at a reasonable 11 litres. 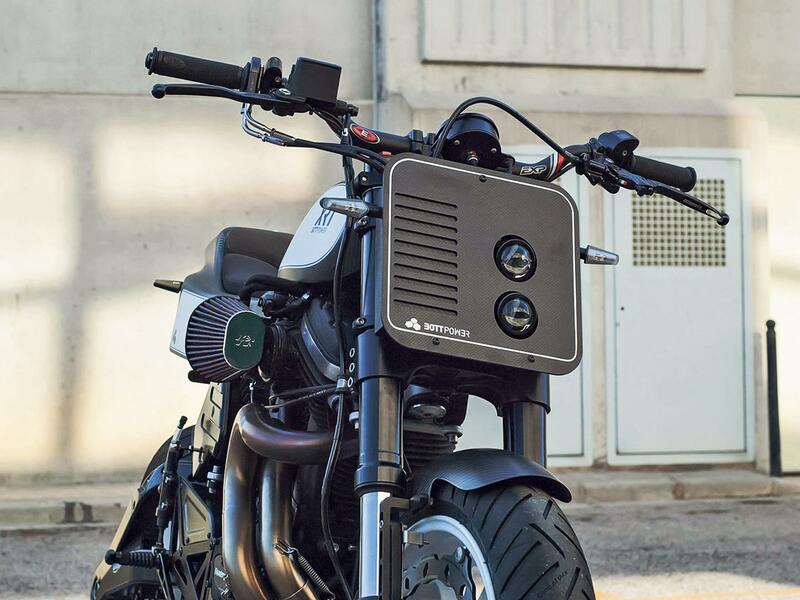 The little number board hides a decent pair of lights plus there’s an oil cooler so it doesn’t boil your or its bits. This example started as a Ulysses so the suspension was swapped to reduce ride height. Up front there are a set of 48mm fully-adjustable USD forks from a Buell 1125 while the rear is an Öhlins TTX. Braking is still via the Buell six-pot caliper and rim disc with a Brembo master cylinder. Carbon bodywork, Rizoma lights and Torque Hammer exhaust complete the build. While the lack of paint allow the carbon fibre to show through. Each XR1 is custom made, or a DIY kit, final options are endless so there is no standard price, but the old adage that ‘if you have to ask’ may apply. 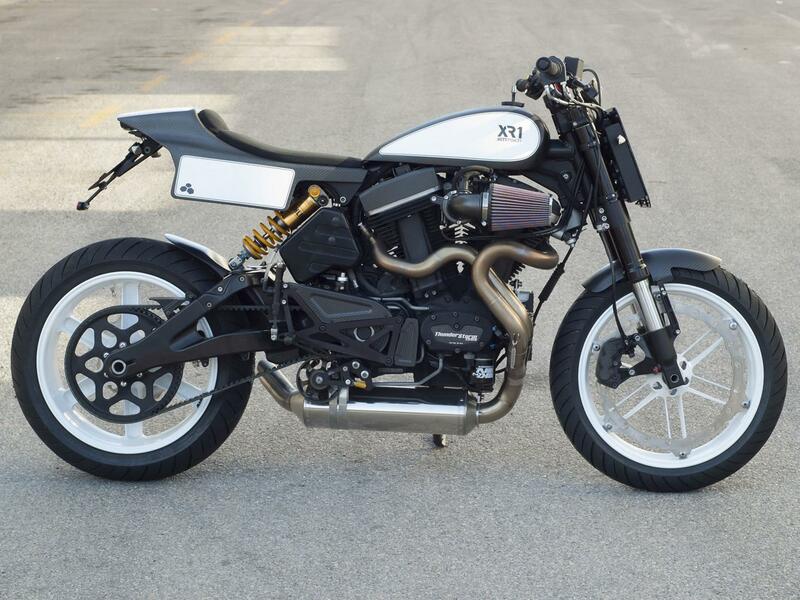 So, Harley haters, is this one you could buy into?